Ultimately, it wasn’t the coming of a new ‘Sixth Republic.’ Nor was it unprecedented in the political history of the Fifth Republic, nor did it exactly herald the death knell of France’s established political parties. 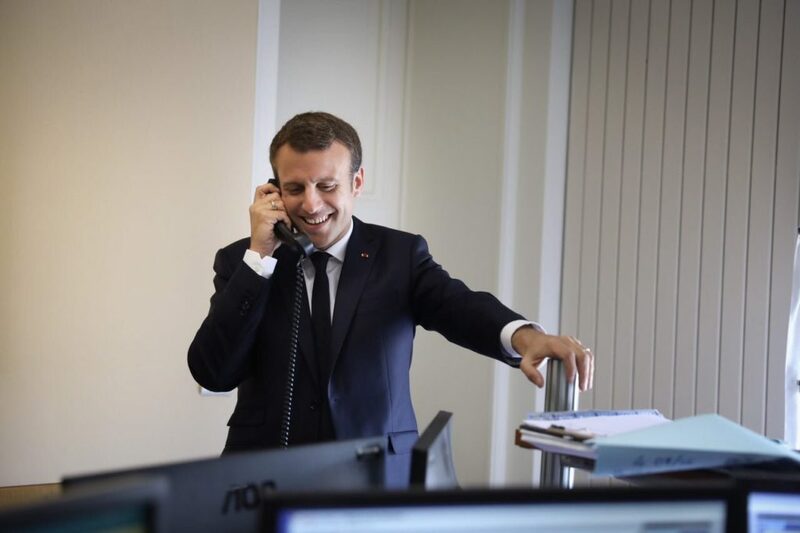 But the June 18 victory of French president Emmanuel Macron’s La République En Marche! 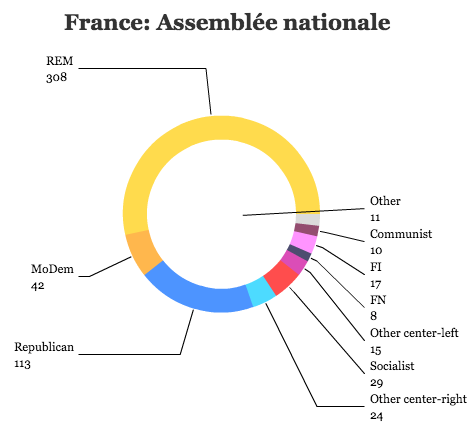 — a party founded only last year as the vehicle boosting what was once a longshot bid for the French presidency — in the second round of France’s legislative elections is nothing short of an astonishing accomplishment for a brand-new party that brands itself as neither left nor right. The elections leave Macron’s party, together with its ally, the Mouvement démocrate (Democratic Movement) founded by longtime centrist figure (and now Macron’s justice minister) François Bayrou, with 350 seats in the Assemblée nationale, the lower house of the French parliament. It’s one of the largest majorities since the dawn of France’s Fifth Republic in 1958, though it’s a victory tarred by a record-low turnout of just between 42% and 43%. (That compares to around 60% turnout in 2007 and 55% in 2012). While the French electorate may be fatigued after four rounds of voting — two presidential rounds in April and May, followed by the first round of parliamentary elections on June 11 — it’s far lower than turnout in the 2002, 2007 and 2012 elections, all of which followed the same pattern, synchronizing legislative elections just a month after the presidential.